Last Thursday officers from Windham Police Department swarmed into Walmart armed with baskets and a budget. Their mission was to buy Christmas presents for children in Windham who might not have presents under the tree this year. 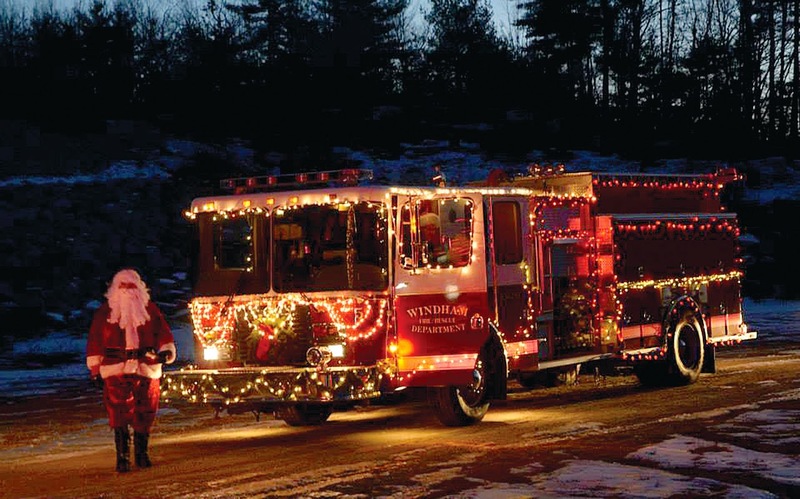 The Windham Police Association raises money through fundraising drives to pay for the gifts. Each pair of officers kept track of the money they were spending as they loaded up their carts with bikes, Legos, iPods, Frozen toys, balls, helmets and so much more. “We try to get something for every age range,” said Officer Gene Gallant, who based his buying decisions on what his son might like. “We aren’t purchasing fire trucks today,” one officer said with a laugh. Terry Bickford also felt generous and donated $50 to the cause. In between the donations and shopping, people stopped the officers to thank them for their work and their presence during the past week. Just before check out, Tom Mailer from Auburn gave the officers another $20 to help with the purchase. The officers donated their time to shop for close to $2,000 worth of Christmas presents, which they drove over to the Windham Social Service building to be passed out to children in need. The officers who helped were Tom Hamilton, Quatrano, Lee Maher, Jim Cook, Gene Gallant, president of the Windham Police Association Jason Burke and Justin Hudnor. “It’s a blast,” said Quatrano as he pulled another toy from the shelf. 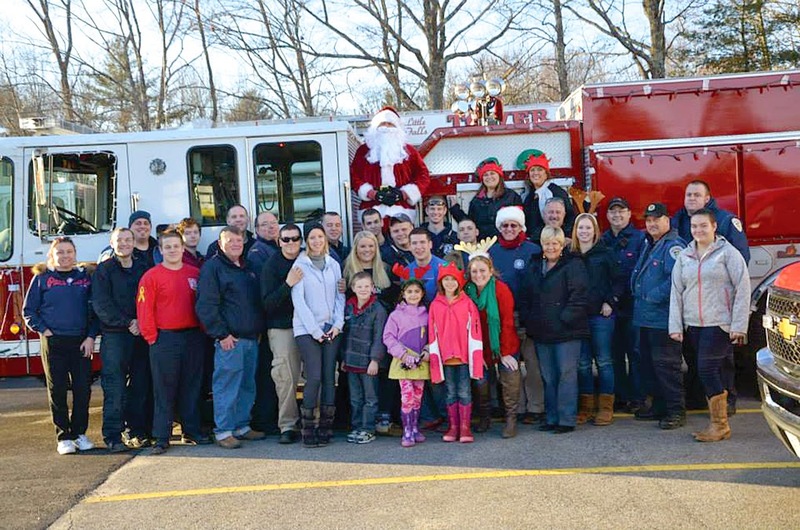 Windham firefighters and their families banded together this year to surprise four families from Windham who needed a little help this year. Seventeen or so people gathered to decorate the fire trucks with colored lights and garlands before heading out of the station. Kids, wives and friends of the fire department all gather to spread the joy. “This was the first year we did four families. We usually do one or two,” said Lt. Chip Jones, who organized the donations. Windham social services picked the four families from their wish list forms. Then the fire department went shopping, buying everything on the wish list and then above and beyond that, said Jones. “Families were so appreciative of what they received. 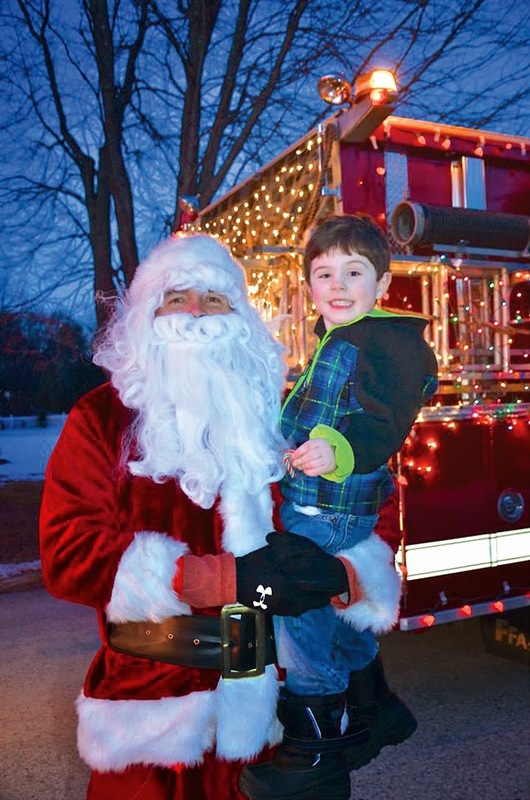 Kids were so excited and some got a ride in the fire truck,” said photographer Jennifer Wescott. The department didn’t buy as much food as they have in the past, but area restaurants and businesses donated gift certificates for services like oil changes, and extravagances like nail treatments, haircuts, massages and movie tickets. “The generosity of this town is amazing,” said Jones. 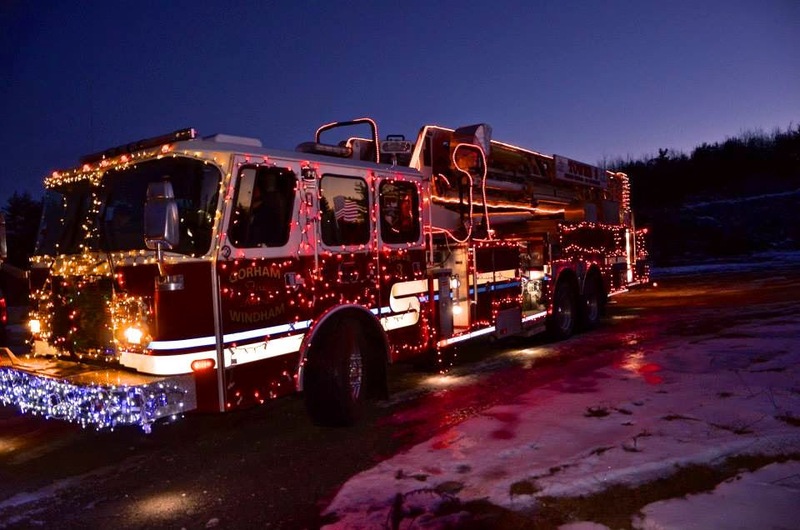 The fire department members, friends and supporters raised money and pooled it together to buy the gifts. Capt. Ken Thorpe helped Santa out Saturday night. The fire department is open for visits. Jones encourages people to bring their children to see the fire trucks and talk to the personnel. Zachary O’Brion from Windham couldn’t wait to see Santa and ask him to bring Legos for Christmas this year. He found Santa hanging out at the Windham Veterans Hall Saturday morning as a part of the seventh Breakfast with Santa event sponsored and run by the Windham Lions Club. “This is the best turn out we’ve ever had,” said Don Swander, who is a member of the Windham Veterans Association which donated the use of the hall and has each year to say thanks to the community for all they do for Veterans. With close to 1,000 people passing through for pancakes, sausages, warm syrup and orange juice. They ran out of food and had to purchase more including buying eight gallons of juice, when two will usually do. “It’s a good turnout for a good cause,” said Lion Jan Soucy. Students from the Windham High School LEO club helped serve and manned a coloring table for children waiting to see Santa. The charge was a monetary donation to the Lions Club, which raises money for eye glasses, eye exams, eye screening for every student at Windham Primary School. All of the money they raise staying in Windham. Last weekend, the Lions Club donated 1,200 pounds of food, $1,000 in cash and bought 14 gift certificates to Walmart to the Windham Food Pantry for needy families, said Lion Bob Simmons. The Lions Club has been in existence in Windham since the 40s or 50s according to King Lion Shirley Banks. The group has a little over 20 members, but welcomes new participants. They meet the first and third Monday of every month at the Windham Public Library, 217 Windham Center Road. Banks said that the increase in numbers had to do with the advertisements and cooperation of the schools, who put out notices and sent emails home to parents. Early next month Brent Libby will take the reins as the new fire-rescue chief for the Town of Windham. Libby will replace long time fire-rescue Chief Charlie Hammond, who is retiring. Hammond has been the fire-rescue chief in Windham since 1985, serving on a part-time basis initially and becoming the town’s first full time chief in 1992. Hammond was recently named Maine Fire Chief of the Year by the Maine Fire Chiefs’ Association. It will be a big transition, Libby said. “Chief Hammond’s been here a long time,” he said. “It’s a tough act to follow.” He’s confident that the transition will be smooth, and the two have met and will continue to meet in the weeks leading up to Libby starting full time. Some goals will carry over from Hammond and Libby said he plans to do a needs assessment as well, talking to members of the department to determine where to go next. Important information will be gained as Windham reviews their comprehensive plan and the community determines what they want the town to look like in the next ten to fifteen years, Libby said. Libby grew up in Gorham and is currently a resident of Standish. He said he would like to move to Windham in the future. “It’s important to live and work in the community, especially with that type of position,” he said. He’s already quite familiar with Windham, he said, since it’s where most Standish residents do their shopping. 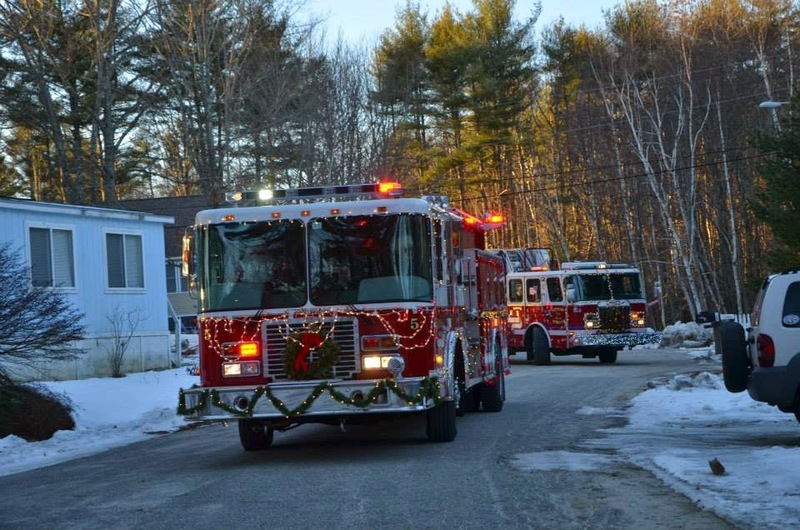 Libby began his career as a junior firefighter in Gorham while in high school. After graduating from Gorham High School, he studied paramedicine at SMCC. He started his full time career in the town of Standish in 2004. For the past five years he has served as that town’s Director of Public Safety. The job in Windham appealed to Libby because it’s a larger town with more challenges, but still offers a tight knit community feel. “It felt right to come here,” he said. Jobs of this type aren’t available very often said Libby, and he didn’t have any interest in moving away or going to a very large department at this point in his career. “Windham is the best of both worlds. It’s the place where people come, but it’s still very much a big small town. You still have the community events, you’re out in the community,” he said. Because the Standish and Windham departments work together, he said he already knows a lot of people, and the move was a logical next step for his career. The Windham Fire-Rescue Chief position has more narrow scope than his position in Standish, said Libby, which also appealed to him. As director of public safety, he handled everything except law enforcement, from animal control to harbormaster, health and emergency management to fire and EMS. 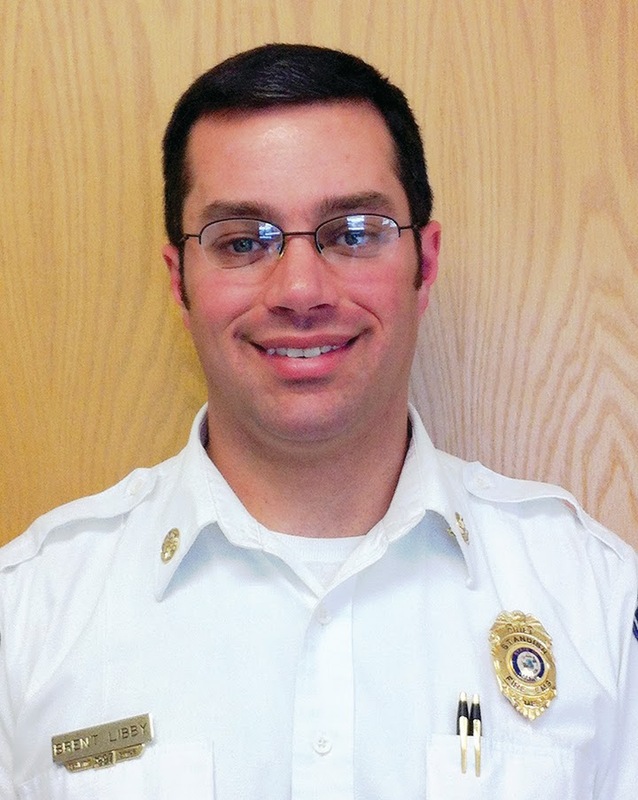 In Windham, he will oversee fire, rescue and emergency management. Libby said it will be important to talk with as many people as possible, do a lot of observation, and figure out what direction the department needs to move in to be an efficient service for the town. His position in Standish ends on January 2nd, and he begins full time in Windham on January 5th. Libby said he spends a lot of time at work, but in his free time he enjoys doing anything outside. He’s currently finishing his bachelor’s degree in Fire Science through Kaplan University, and visits his twin sister and his brother in Boston frequently.